Well guess you know how I’m feeling jubilant! If that is indeed a word. Clam happy, ecstatic, giddy all that happy stuff that goes along with watching your beloved ball team fulfill your prophecy! There is no stopping the San Francisco Giants this is my prediction! 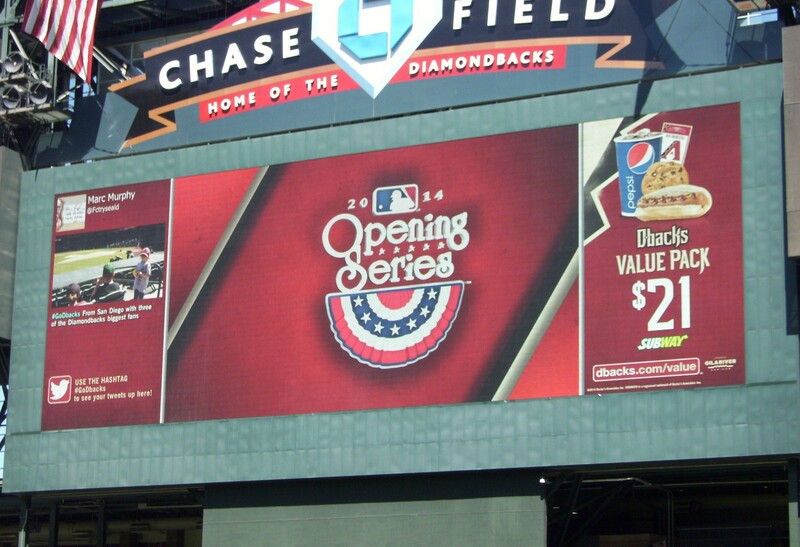 At Chase Field Thursday even the Killer Bee’s tried and failed. Delay of game on Thursday due to a swarm of bees in right center field made for some unexpected but delightful humor as a music medley beginning with “Let It BEE” and “Don’t Worry BEE Happy” and the jokes began to fly! 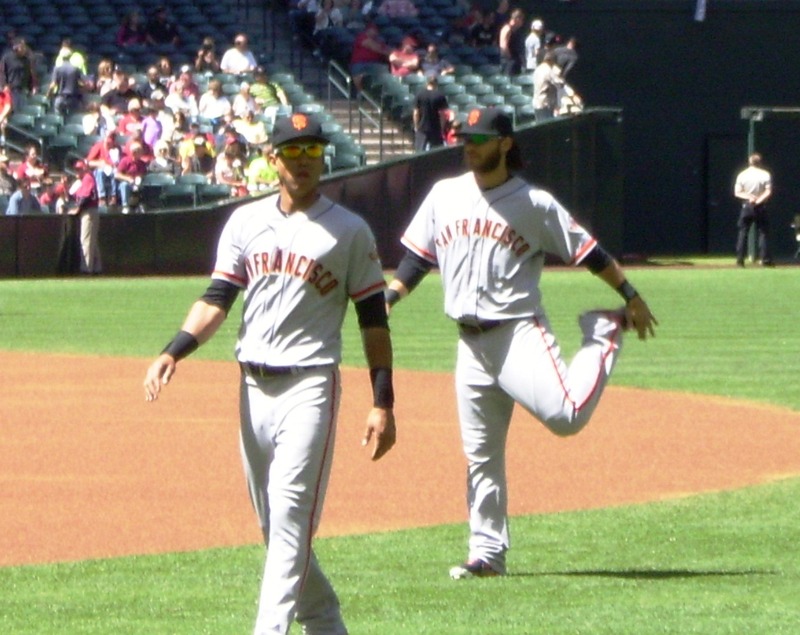 Wednesday was a beautiful debut for Tim Hudson with a little work from Javier Lopez and a perfect save for Sergio Romo for a win of 2-0 against the D-Backs. 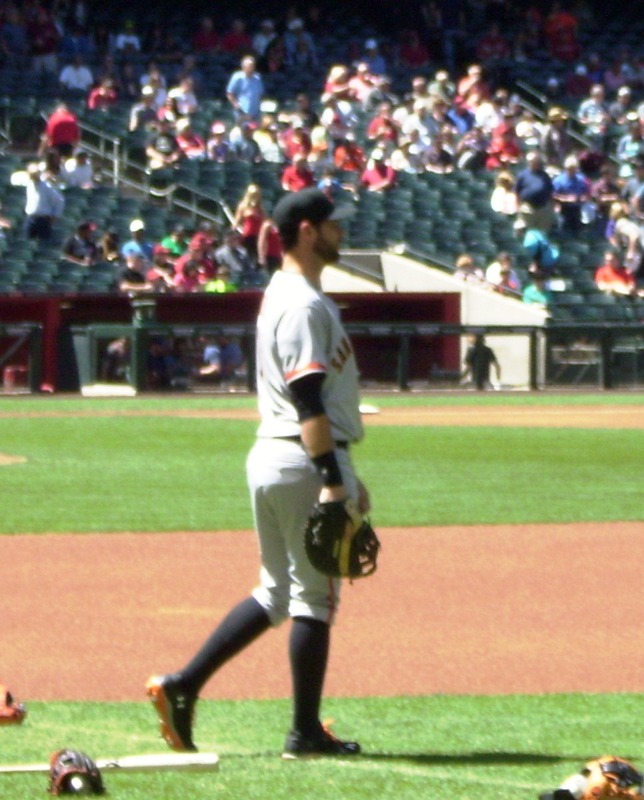 Thursday was even more beautiful with a first inning home run from Brandon Belt HIS 3rd for this season! Makes his goal of 74 home runs look very do-able! Yet another Brandon proves his stuff with Hicks homer. Angel Pagan with his 3 run homer sealed the D-Backs fate and that fate is LOSER! 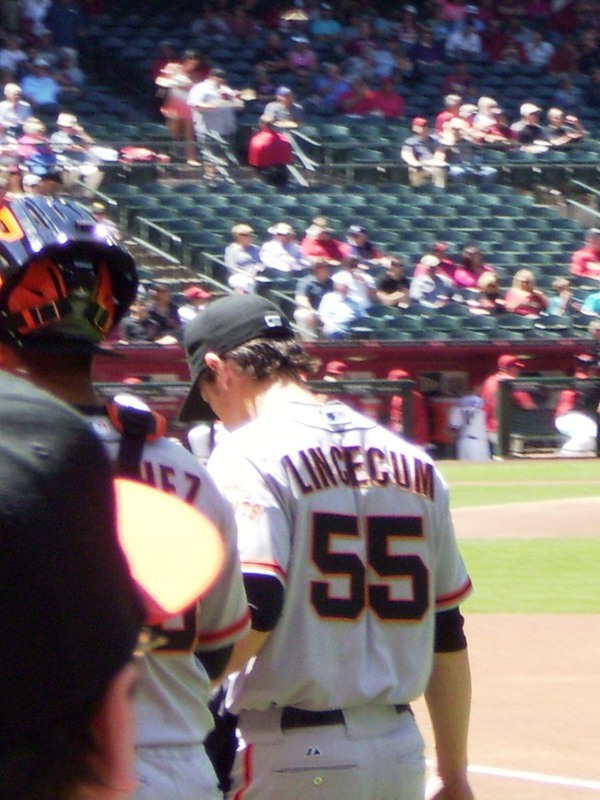 Timmy gave up a couple to the D-backs but he really only threw a couple of “bad” pitches and it mattered not as we did what we are best at and that is the “COMEBACK”! “It takes those comebacks to have a winning season,” Giants manager Bruce Bochy said, invoking the memory of San Francisco’s six-run surge in the final three innings of Monday’s season opener.